The Annex is a new condo development underway in the highly desirable inner city neighbourhood of Sunnyside. Developed by Minto Communities, The Annex condos in Kensington will be concrete construction with 108 total units across 9 floors. These one and two bedroom condominiums start in the low-mid $200’s. Begin your search of The Annex condos in Calgary below. Contact your new condo expert today at 403-370-4180 or send a message if you have any questions about The Annex and get the best advice on new condominiums today! Minto’s newest condo in Calgary is located just half a block east of Kensington’s main strip along 10th Street NW. This puts residents close to several shops, restaurants and services including public transportation at the Sunnyside C-Train Station. A little more than a block to the south, residents can access the Bow River parks and pathways. Nearby destinations using these pathways include the Peace Bridge, Prince’s Island Park, Eau Claire, Chinatown, East Village and the downtown core to name a few. 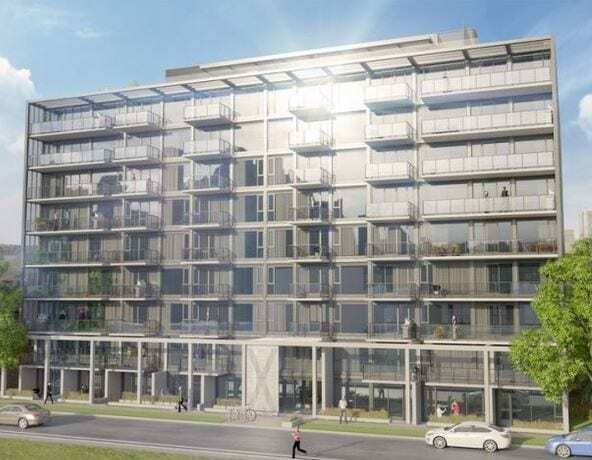 At The Annex condos in Kensington you’ll find 12 different floor plans ranging from 482 to 1,100 square feet in size. Price’s currently range from $235k to $661k (subject to change). Buyers have an option between three contemporary interior finish packages: urban, industrial and mid mod. Each come with a unique set of design options and colour pallette. Features also include quartz counters, energy-star appliances, full height kitchen backsplash, 9′ or 8’6″ ceilings and spacious balconies with BBQ gas lines to name a few. Questions about The Annex Condos in Calgary? Don’t settle for anything less than the best advice on new condos in Calgary! As an experienced new condo specialist and REALTOR®, I guarantee the best service and advice while guiding you step-by-step through your next condo transaction. Call me direct at 403-370-4180 or send a message below for a quick, if not immediate response. I am looking forward to helping you accomplish your real estate plans!